Customer Service is Dead - Long Live Customer Service! - Precision Solutions, Inc. 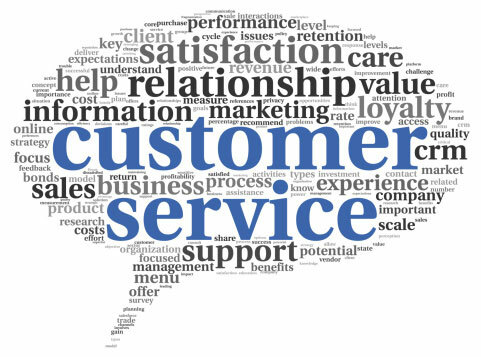 Customer Service is Dead – Long Live Customer Service! At some moment in your life, you’ll probably have an experience something like this: You buy a new piece of computer equipment with high hopes and grandiose plans that this thing, whatever it happens to be, is going to be really, REALLY cool. With this device, you reason, everything will be just perfect, the planets will align, the children will rejoice, and there will be peace in the land. Several days later (or fewer, depending on how much you paid for shipping) the package arrives. You always did like that delivery person, but today he or she is even more special because they are not delivering just any package, this is YOUR delivery, and wow, it couldn’t have come at a better time. Like a little child on Christmas morning you quickly rip open the top of the box, shuffle through the voluminous layers of packing peanuts, and gently awaken your new toy from it’s en route slumber. Taking great care to follow all of the instructions carefully (yeah right) you plug it all in, turn it on, and WHAM! Hmmm.. Maybe it’s hooked up wrong. Glancing quickly through the “Easy Installation Guide” you verify everything looks right. Maybe it’s a configuration issue. Oh, and look, there’s a special section of the manual specifically for configuration. That’s probably it, right? Somewhere around four or five hours later, joy is all but gone as the device sits prominently on a corner of the desk, hooked up, having been configured and reconfigured through every possible option, when it finally hits you – there is NO WAY that you’re going to get this… this… THING working alone. It’s time to call in the big guns, the guys with the answers, the folks that by their very title command deep and abiding respect. Yes, it’s time; time for Technical Support. The voice on the other end of the phone sounded pleasant enough, perhaps this would be one of those really great “I-can’t-believe-I-spent-so-much-time-on-such-a-little-problem” kind of issues. I promptly and courteously read off the digits from the bottom of the device, careful to pronounce the P, T, and E’s so there would be no confusion. Excuse me? Why, of course the device is hooked up! AS I JUST EXPLAINED, it’s connected EXACTLY as recommended by the “Easy Installation Guide”. In fact, I explained, I’ve tried every configuration outlined in the Guide, and have yet to find a combination of options that would actually make the device work. At this point, what other options did I have? I’m tired, this has been an exhausting experience, and I’m left with a network mess to clean up after experimenting with a series of suggestions that had little chance of actually producing results. Please understand that I’m not all that jaded normally, but I just don’t understand why I had to disconnect the coffee maker for my network device to work. Now that 24 hours has come and gone, and gone, and gone, I’m getting the impression that maybe, just maybe, I’ve been blown off. Worrisome as that may be in this one isolated incident, even more troubling is that this kind of stuff happens every day. Customers like me and you – you know the folks who buy these products that keep these businesses actually doing business – are being faced with astonishingly decreasing options for actually getting problems solved. In fact, have you noticed that Customer Support departments are all but gone? Now it’s called “Tech Support” – supporting the technology? – and the customer is relegated to being little more than a cash flow issue. Even more egregious are those support departments that start with the words “Your credit card number, please?”. Of course, the “please” is gratuitous in this context; the real meat of the question is focused on “credit”. Understand of course, I’m not against paying for good support. I am, however, very pleased that this practice hasn’t caught on with 911 operators. Fact is, when someone calls for Technical Support, it’s as good as a 911 call. There may or may not be lives on the line; It really shouldn’t matter. The fact that there’s a call means there’s a need, and where there’s a need there’s an opportunity. How your people respond to that opportunity is all up to you. More importantly, never forget that this response – whatever it happens to be – may be the difference between keeping or losing a valued customer. Think about that the next time you count on your lowest paid and lowest trained people to handle the support phones. What a great favor you’re doing for your competition! And if that doesn’t keep you awake at night, think about the former customer who walked away from you not only with the memory of a bad experience, but also with a story they’re sure to tell again and again.